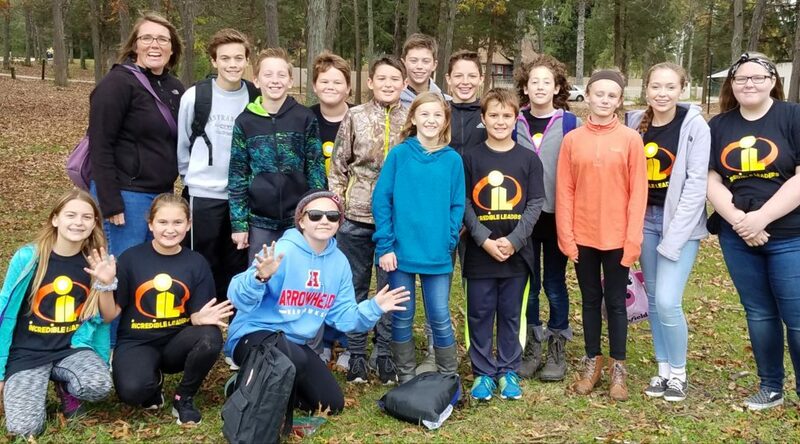 The 5th – 8th Grade leadership group is made up of students who applied for a spot and were selected based on leadership criteria reflected in their applications. This group attends the Arrowhead Area Leadership Camp and commits to a project that they will complete during the school year. These projects focus on improving school culture and climate at North Lake School. Through the process of brainstorming, planning and implementing these projects students learn important leadership and advocacy skills. The Leadership Group also practices and refines their leadership skills while helping with other school wide projects such as Red Ribbon Week, Penny Wars and other events. If you have any questions or are interested in having your child involved, please contact Mrs. Lesch.